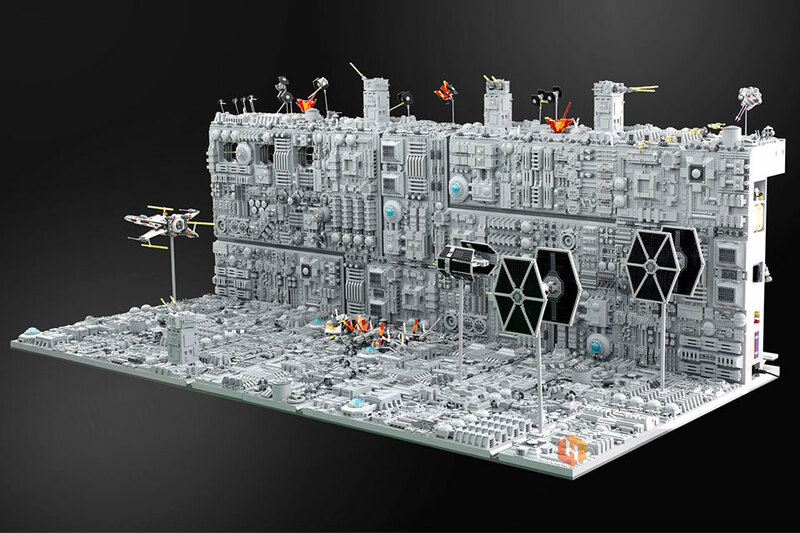 South Korean LEGO Certified Professional Wani Kim, with the help of Olive Seon, has created an incredible replica of the Death Star Trench Run scene from Star Wars: Episode IV – A New Hope. 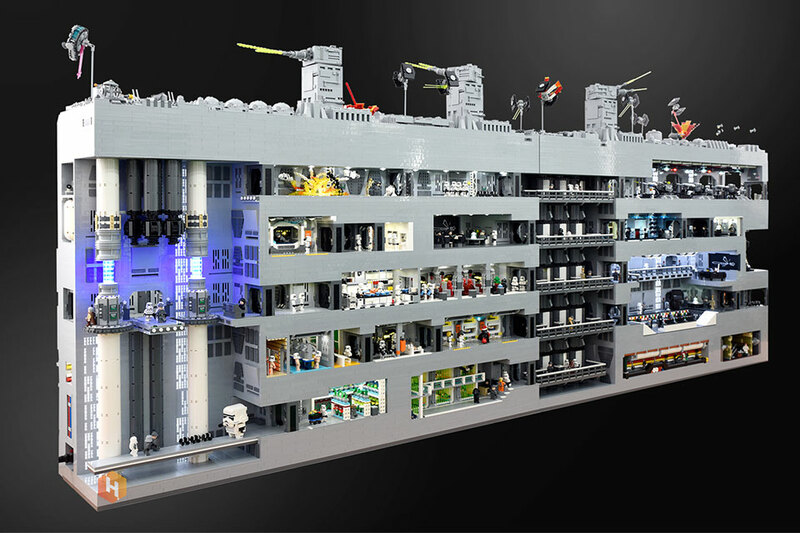 The LEGO diorama—which measures 2,680mm (8.79 feet) long, 1,370 mm (4.49 feet) deep, and stands 1,100 mm (3.60 feet) tall— features defensive turrets, along with Luke’s X-Wing, the wreckage of another Rebel ship, and Vader and two TIE Fighters in pursuit. The build consists of 80,000 LEGO bricks and 100 minifigures, and even includes a cutaway of the back to reveal the insides of this astronomical object. If that wasn’t enough, an Arduino was used to coordinate flashing effects to further enhance this iconic recreation. Additional images of Kim’s impressive project, plus some of his other work, can be found on Instagram. LEGO sets have long been able to work with simple pneumatic controls, but what about a full air compressor built out of these components? Would this be possible? As demonstrated in the video below, this can in fact be accomplished, and in brilliant style no less. The design uses four motors, eight pneumatic pumps, and 10 air tanks to produce a pressure of 35PSI and beyond. Controls consist of an Arduino board, along with a pair of resistors to set two separate tank pressures. User feedback is provided by two external displays, and the setup even features a lighting system to allow “workers” to perform maintenance access 24 hours a day! For a quick start, the compressor has a Turbo function which is enabled under 35 psi this makes the motors run on 12V instead of the rated 9V. This way the air tanks are filled a bit faster but without overloading the motors. The compressor has two sections which can be used separately with their own setpoint or as one big compressor. This selection is done by switching the outlet valves at the back of the compressor and by setting a jumper on the circuit board. The Arduino control also tracks the running time of each section in hours and is shown when a switch on the circuit board is pressed. 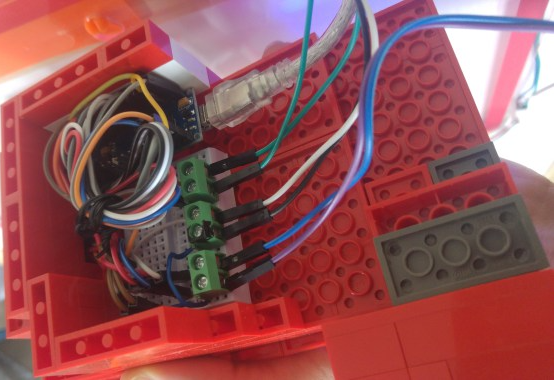 The pressure is measured by a non official Lego pneumatic sensor by Mindsensors.com. If your kids (or you) have somehow gotten tired of playing with LEGO bricks, Lenka Design Workshop has a great way for you to breathe new life into this unused pile. 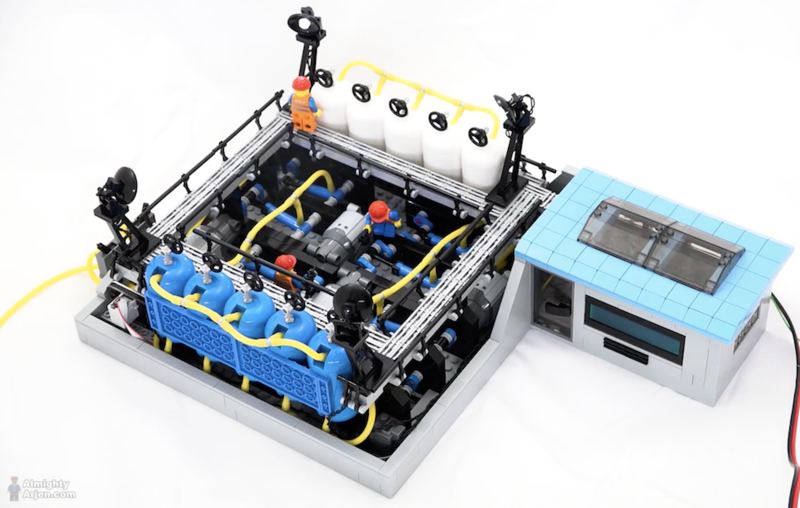 Their game enclosure consists of a 32×32 LEGO baseplate, along with walls made of blocks to support a clear acrylic cover. This in turn holds four large arcade buttons for gameplay control. Five games are currently implemented to run on the game’s Arduino, with light and sound feedback. We decided to recycle the unwanted Lego bricks and created an arcade game. The code has been written in such a way that it doesn’t have dependencies and will compile on any Arduino board. And of course the games have been intensively tested by our kids. How is this game different from many others that have been published before? 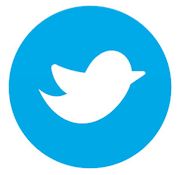 Secondly, it has a great design (from our perspective) and can be easily repeated. 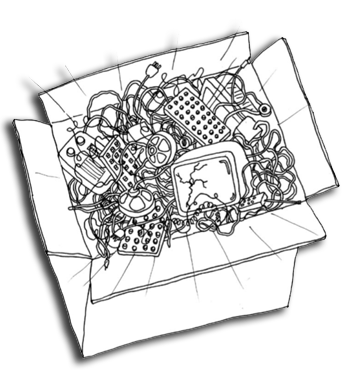 And thirdly, it is earth-friendly because it allows you to recycle the plastic. You can see a short demo of the system in the video below, or check out the project write-up for more info. 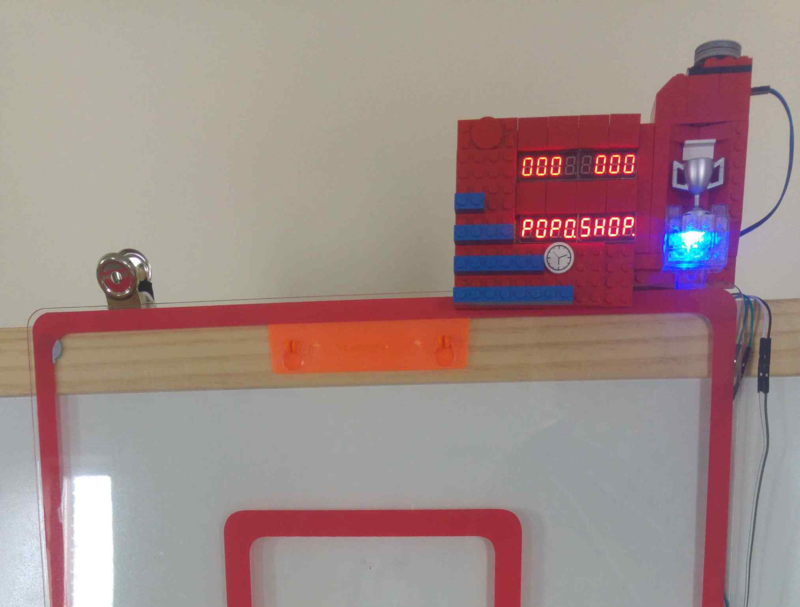 In this version, an ultrasonic sensor in the hoop tells an Arduino Nano when a shot has been registered, while two 7-segment displays inside of a LEGO scoreboard show the current count, time remaining, and high score. There is also an RGB LED that turns green after every made basket and changes color with a new top score. Incidentally, one of the displays can also spell out “POPOSHOP,” which dictated the name of the game, since there is no “T” character in the LedControl library used! For more info and code, be sure to check out the “Internet of LEGO” build log! A team from the University of California, Riverside has developed a LEGO-like system of blocks that enables users to make custom chemical and biological research instruments quickly, easily and affordably. The 3D-printed blocks can create various scientific tools, which can be used in university labs, schools, hospitals, or anywhere else. The blocks–which are called Multifluidic Evolutionary Components (MECs)–are described in the journal PLOS ONE. Each unit performs a basic task found in a lab instrument, such as pumping fluids, making measurements, or interfacing with a user. 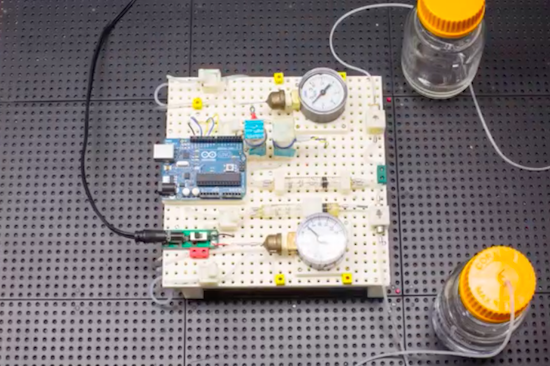 Since the blocks are designed to work together, users can build apparatus—like bioreactors for making alternative fuels or acid-base titration tools for high school chemistry classes—rapidly and efficiently. The blocks are especially well-suited for resource-limited settings, where a library of blocks could be utilized to create an assortment of different research and diagnostic equipment. 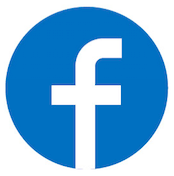 The project is led by graduate student Douglas Hill along with assistant professor of bioengineering William Grover, and is funded by the National Science Foundation. You can read all about the 3D-printed system here, and check out the video below which reveals an Arduino Uno being put to work. 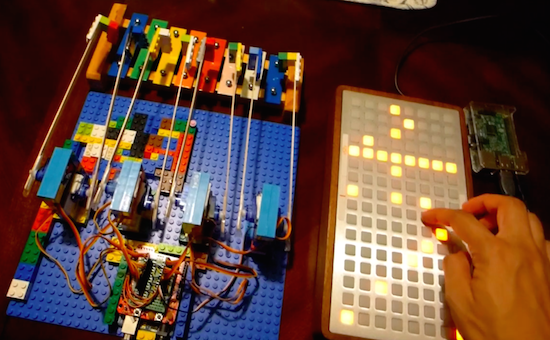 Created by “modulogeek,” the MonomePi is a step sequencer that uses a monome as an input controller and a toy glockenspiel as the output instrument. 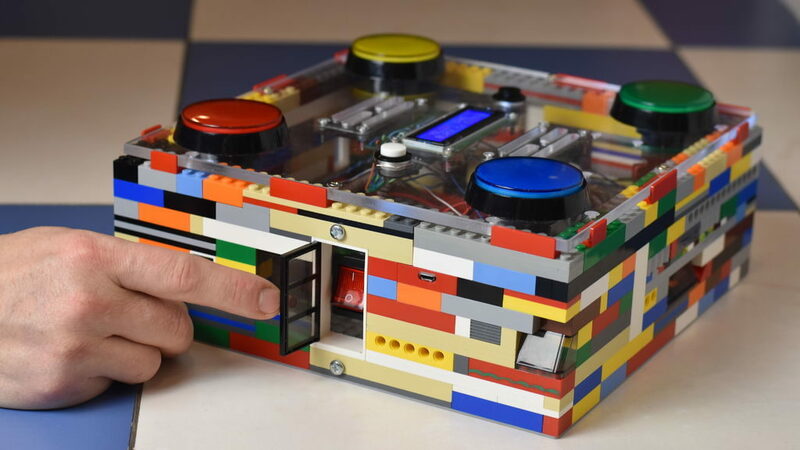 The brain of the device is a Raspberry Pi 3, which runs a step sequencer program written in Python. Both the monome and an Arduino Uno are connected to the Pi via USB. 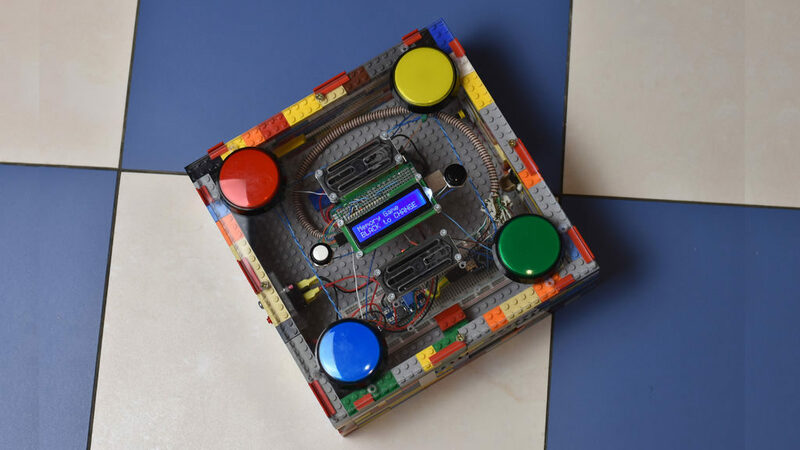 The Arduino controls eight servos, each attached to a “mallet” made of LEGO bricks taped onto coffee sticks. As modulogeek explains, the Arduino is programmed to receive serial commands from the Python program. A command is one byte or 8 bits, each bit representing ‘on’ (play the note) and ‘off’ (do nothing) states of each servo. The monome is entirely controlled by the Python program, which sends serial commands that, for example, tell the monome which buttons need to light up or turn off. It also receives serial data from the monome, like which buttons are getting pressed and depressed. 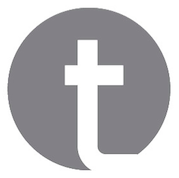 You can see it below, as well as check out its GitHub page here. The post 15 Fantastic Project Enclosures appeared first on Make: DIY Projects and Ideas for Makers. Before the NSA deletes this post, we’ll be clear: We’re talking about a model of a nuclear reactor, not the real thing. Using Legos, [wgurecky] built a point kinetic reactor model that interfaces with the reactor simulator, pyReactor. Even without the Lego, the Python code demonstrates reactor control in several modes. In power control mode, the user sets a power output, and the reactor attempts to maintain it. In control rod mode, the user can adjust the position of the control rods and see the results. If things get out of hand, there’s a SCRAM button to shut the reactor down in a hurry. 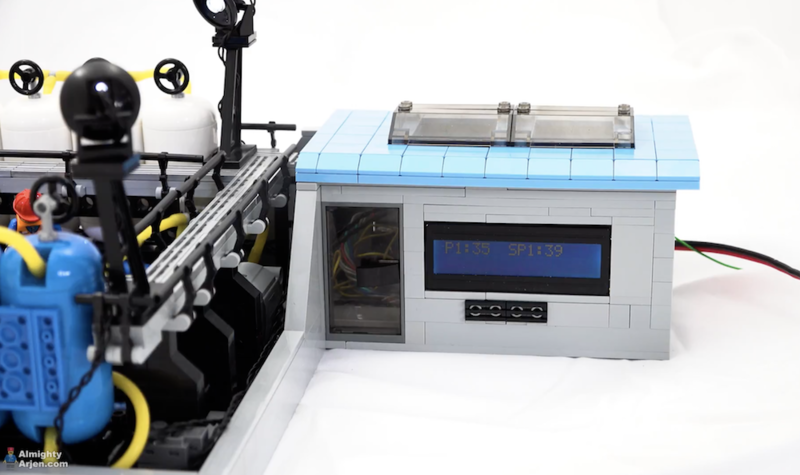 The Lego model uses an Arduino to move the rods up and down (using a servo) and controls the simulated Cherenkov radiation (courtesy of blue LEDs). We’ve been excited to see more high schools with significant engineering programs. This would be a good project for kids interested in nuclear engineering. It certainly is a lot safer than one of our previous reactor projects. Using a combination of Lego bricks and other electronics, Danny built a robot that is controlled wirelessly by a wearable Lego "exosuit." The post Controlling a Robot with a Wearable Lego Exosuit appeared first on Make: DIY Projects, How-Tos, Electronics, Crafts and Ideas for Makers.